Great Christmas gift or a decoration for your home. Season's Greetings! 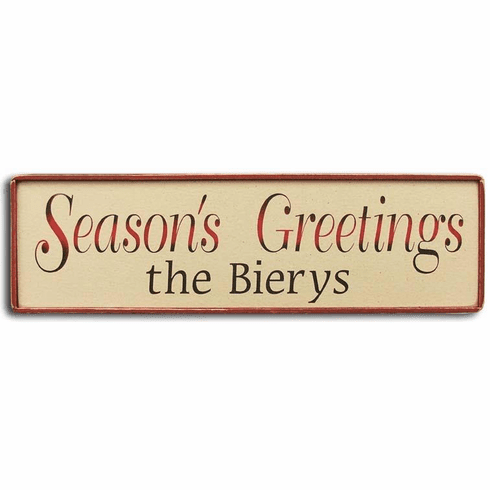 This family name holiday sign will make this a unique gift for your parents or family friends for them to cherish for years to come. This holiday sign measures 6 in. x 20 in. and comes in a cream board with red frame and top line and a black family name.